How Does a WWE Wrestler Prepare for a Match? Staying in top physical shape is the best preparation for a wrestling match. Along with performing multiple times a week across the country, wrestlers must also stop and use gyms as much as possible wherever they travel. The professional wrestling organization World Wrestling Entertainment, or WWE, follows a strict performance drug testing procedure, so wrestlers need to work out and maintain themselves the proper way, without recourse to shortcuts with steroids or other substances (see Resources below). WWE wrestlers use specialty training center around the country--there's one in Stamford, Connecticut, and another in Tampa, Florida, for example--to help keep in shape if they have not wrestled in a long time. Here they can work with skilled trainers in a ring and work on any in-ring adjustments that may be needed. Before each event, wrestlers receive a script and a run-down of the night's card. They then meet up with their opponent(s) to discuss details about the match. Each match is assigned an agent who goes through the key points in the match, which include the set-up, payoff, finish and any in-ring psychology that their character will have. After everything is settled, a quick run-through of the match is gone over again. Wrestlers view tapes of old matches to see where their weaknesses are and what they can improve upon. They look at timing, styles and crowd reaction as a basis for their next match. Stretching before the match is a key to avoiding any pulled muscles that may be sustained in the ring. If the entrance or ending of the match features pyrotechnics, then wrestlers will also soak themselves in water in order to prevent burns. Before the event begins, wrestlers change into their in-ring gear. For wrestlers like Golddust and Umaga, this is an involved process that requires makeup application and hairstyling. Many wrestlers will tape up their wrists and hands for better support and grip. Boots are used to support ankles, and the ankles may be wrapped for added support too. How Does an NBA Basketball Player Spend a Workday? Donahue, Alan. "How Does a WWE Wrestler Prepare for a Match?" 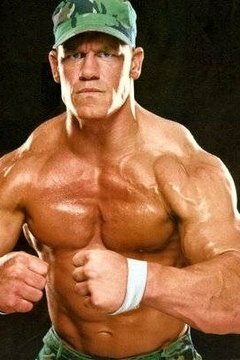 , https://careertrend.com/how-does-4697255-wwe-wrestler-prepare-match.html. 05 July 2017.